North Wildwood , Southern Shore Area, New Jersey USA - 5 mins to Cape May and steps away from the Wildwood Famous Boardwalk. Condo - Corner Top 2 BR Unit having a full kitchen and living room with a view of the ocean and direct access to the beach. Be the first to catch the rays of dawn over the ocean or the setting of the sun from your balcony just outside your unit. The North Wildwood resorts has been named by Family Fun Magazine as the 'top tourist town in the Northeast' as well as one of the top ten (10) beaches by the Travel Channel. I am a project manager for a National Bank who has been visiting the shore area since the 1960's. North Wildwood is the one vacation place that has something for everyone; great beach, boardwalk, fishing, family resort, night life, casino near by and local historical sites. All at a reasonable cost. 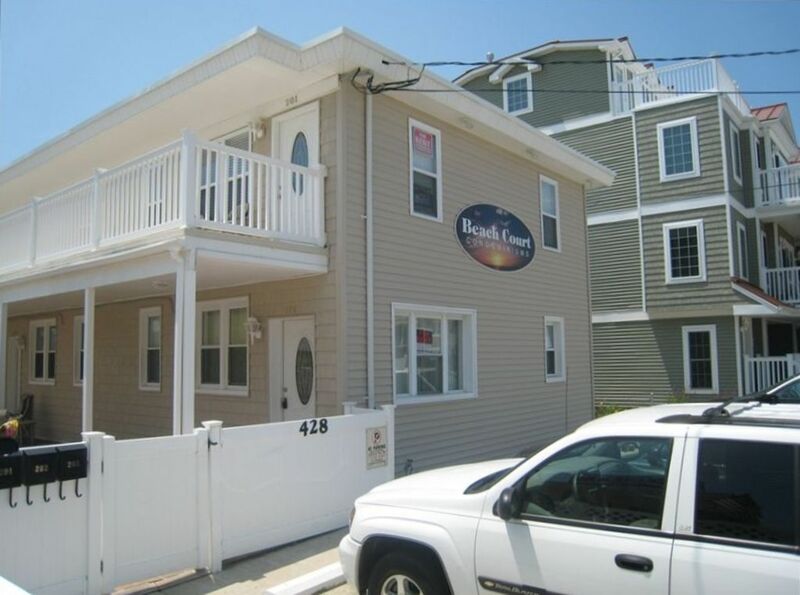 Convenience to the boardwalk, dining, shopping and direct access to the beach. Once you park your car, you no longer have to drive. What a great experience, everything was perfect. Stay here during Irish Fest and it worked out well. Great place! Highly recommend! Thanks! We had a wonderful stay here. Place was clean and well stocked. Beds were comfy. Great location- quiet street. Perfect place for enjoying the shore. The apartment was clean and well cared for. The location is quiet and just off of the boardwalk. This was our first vacation with our dog, and even he was quite comfortable. The price was also reasonable. We had a great stay and will be back. The property was so close to the beach and boardwalk with lots to do. The condo was clean and perfect for the needs of our family. We really enjoyed our week here. Very clean condo. Perfect location, couldn’t have asked for anything more. Joe was extremely accommodating and easy to get in touch with, with any questions we had. We will definitely stay again! !